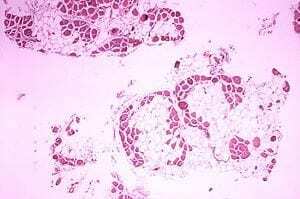 Scientists have discovered that injecting a novel human protein into muscle affected by Duchenne muscular dystrophy significantly increases its size and strength, findings that could lead to a therapy akin to the use of insulin by diabetics. These results were published today in the Proceedings of the National Academy of Sciences by Dr. Julia von Maltzahn and Dr. Michael Rudnicki, the Ottawa scientist who discovered muscle stem cells in adults. “This is an unprecedented and dramatic restoration in muscle strength,” says Dr. Rudnicki, a senior scientist and director for the Regenerative Medicine Program and Sprott Centre for Stem Cell Research at the Ottawa Hospital Research Institute. He is also a Canada Research Chair in Molecular Genetics and professor in the Faculty of Medicine at the University of Ottawa. Duchenne muscular dystrophy is a genetic disorder that affects one of every 3,500 newborn males. In Canada, all types of muscular dystrophy affect more than 50,000 people. The disease often progresses to a state where the muscles are so depleted that the person dies due to an inability to breath. For people with Duchenne muscular dystrophy, this usually happens in their 20s or 30s. “This is also exciting because we think it’s a therapeutic approach that could apply to other muscle-wasting diseases,” says Dr. Rudnicki. My nephew is going to 24 this feb.19. He is MD patient since at age of 8. Half of his body is paralizedd and not comfortable with his flu and seldom urinate. I am asking you medical assistance for him.